hell adventure game that is well worth the frustration. but man - what a game! Whew, what can I say about this game? It's awesome! Just watch the intro! This game uses a special graphics system. There are no sprites, it's all done in 2d polygons, thus giving everything smooth animation and allowing for really cool cinematic effects. You play Lester Knight Chakan, a young scientist. In the intro, he runs a particle acceleration expirament that goes horribly wrong. Lightning strikes his and he is transported to another world. Great ambient music. The puzzles are hard, but with a little noggin' power, you'll figure them out. The challenge is great, but the game can be beaten. 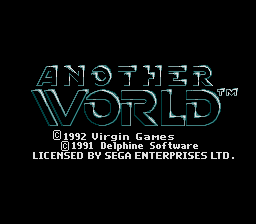 This version is better than the snes one because the snes has load time before you start and the gameplay is a little slower. I give it a 9. 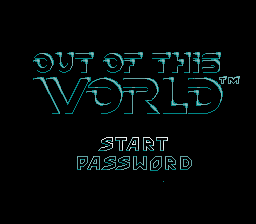 The best version of Out of this world? 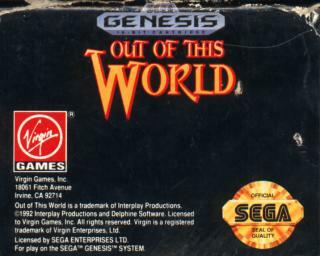 the sega cd version which is called Heart of the Alien. 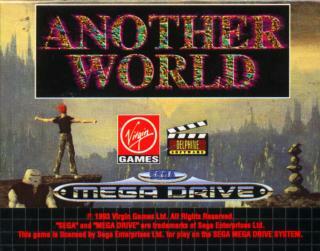 It features Out of this World 1-2 on one disc. 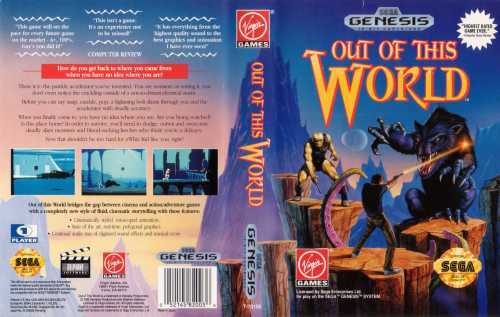 Heart of the Alien was only released on segacd and is cool because it finishes the out of this world saga. You get to play the alien this time through and he has a cool whip that can be used as a weapon as well! Try to find yourself a copy! I give Heart of the Alien a 10! Oh, and check out Delphine Software's other titles Flashback and Heart of Darkness! 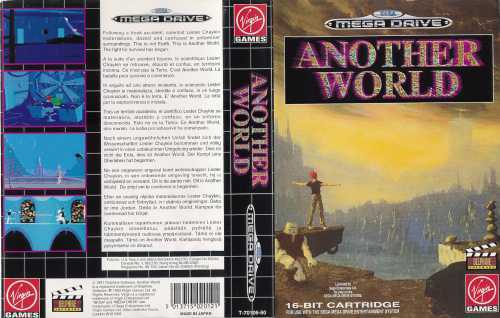 They are great games in the vein of Out of this world. Hey check this game out at Funcoland. 3 bucks!!! 7.0 for it's hardness. Graphic is not good - the Rest is GREAT. Hard to play, hard to stay - cool. 9,5. This game is so far ahead of its time! However, one thing that did always bug me was the whole one bad move and WHAM it's instadeath! 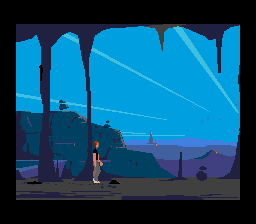 Lovely game though it is as hard as nails unfortunately.